The CEO of the Port of Ashdod Company, reported an increase in TEU terms. Shuki Sagis, the CEO of the Port of Ashdod Company, reported an increase in TEU terms of 3% in the total volume of containers during the eleven months period, January ? November 2008, as compared with parallel period in 2007. In the first 11 months the port handled TEU 754,076 compared to TEU 746,446 in the parallel period, an increase of 1%. Sagis noted that despite the general decline in economic activity the port has been stable and successful in solving many obstacles in the operational chain, enabling a continuous and more efficient work from the operational aspect. Average operational waiting time for cargo vessels during the 11 months period was down 72.4% to 10.8 hours compared to 39.3 hours in 2007. 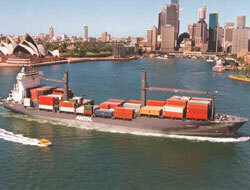 Turnaround time for cargo vessels was down 40.4% to 54.6 hours compared to 91.7 hours in 2007. During November the port handled a total of TEU 78,682 compared to TEU 67,688 in the parallel, an increase of 16.2%. TEU 38,718 were unloaded, compared to TEU 31,311 in November 2007, an increase of 23.7% and TEU 39,964 were loaded, compared to TEU 36,377 in November 2007, an increase of 9.9%. 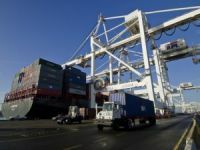 NWSA Sees Ninth Straight Month of GrowthThe Northwest Seaport Alliance, a marine cargo operating partnership of the ports of Seattle and Tacoma, saw container volumes grow by 6 percent year to date in November, making this the ninth consecutive month of growth. 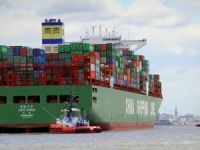 Container Service Reliability Stable in NovemberContainership reliability was broadly unchanged in November as the average on-time performance across all trades slipped by just 0.8 percentage points against October to 77.2%, according to Carrier Performance Insight. 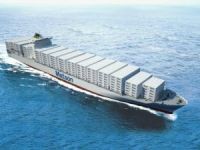 Matson’s Boxship Manoa Loses Twelve ContainersIn the evening hours of Friday, twelve containers were washed overboard of the container ship Manoa, owned by US-based shipping company Matson Navigation Co, due to heavy weather and seas, according to US Coast Guard. 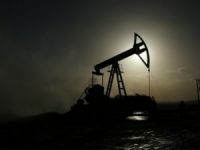 Asia-N.Europe freight rates drop 50.4 percentShipping freight rates for transporting containers from ports in Asia to Northern Europe dropped 50.4 percent to $275 per 20-foot container (TEU) in the week ended on Friday, one source with access to data from the Shanghai Shipping Exchange told Reuters. 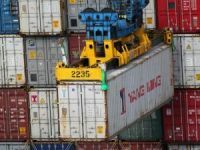 How To Avoid Chaos From New Container Weight Verification LawsThe imminent enforcement of mandatory container weight verification is causing widespread fear of disruption among shippers and freight forwarders, according to a new customer survey by INTTRA, the ocean shipping e-marketplace. All Rights Reserved © 2006 TURKISH MARITIME | İzinsiz ve kaynak gösterilmeden yayınlanamaz.